Stone Soup for Five: Q & A about the 1 John Kids Study! Q & A about the 1 John Kids Study! Today I invited my editor and friend, Kristen, to do a quick Q&A session about the kids study she wrote for 1 John. She has worked with me on the last seven Journal and Doodle studies and I (and you!) have been blessed incredibly by her input through the years. The studies truly wouldn't be the same without her behind-the-scenes work and sense of humor. Who are you, and why are you on my blog? I’m Kristen, the not-so-secret editor of Kari’s Journal and Doodle Bible Studies. 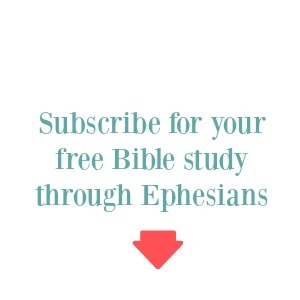 We’ve collaborated on several studies together: Galatians, Ephesians, 1&2 Corinthians, the Promises, and now 1 John. In the past, my role was solely catching typos. Kari loves to place her punctuation outside quote marks! Over time, my role has expanded to giving advice, being a sounding board, and suggesting resources for whatever Kari’s new and upcoming study is. I’m also one of her biggest cheerleaders, as writing is hard work and it’s always tempting to give up and find something easier to do. Why did you write this book for kids? Over the years, I’ve been given a lot of encouragement from friends to write a book, but I never seriously considered it. I do love writing, but what do I have to say that hasn’t been said before? 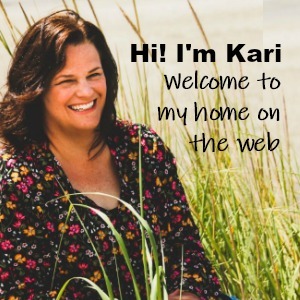 When Kari knew she’d soon be launching 1 John, she really (really) encouraged me to write something for kids. Her encouragement came at a time when my own kids were outgrowing storybook Bibles. They can read the Bible for themselves now, but when I looked for books they could use to study and understand the Bible, I was dismayed by the lack of choices. I found a lot of devotionals, and a lot of activity sheets. I didn’t find much that allowed children to read the Bible for themselves and discover what it meant through study. What can we expect from this study? If you’ve done a Journal and Doodle Bible Study before, you’ll quickly see similarities between the two. There are no daily homework assignments, and not surprisingly, no fill-in-the-blank type questions. You’ll see the familiar check boxes and simple doodles. 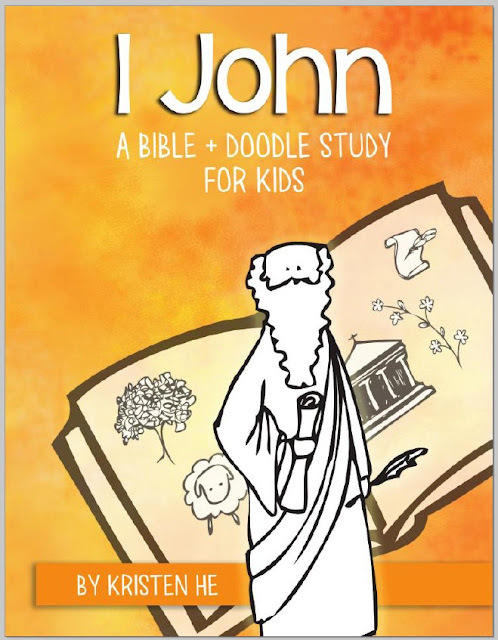 Kids will be working through the study with a notebook and their Bible, with prayers, questions, Bible reading, explanations of difficult passages, and prompts for doodles, lists, and journaling. It’s written at their level without talking down to them. What is the recommended age for this study? 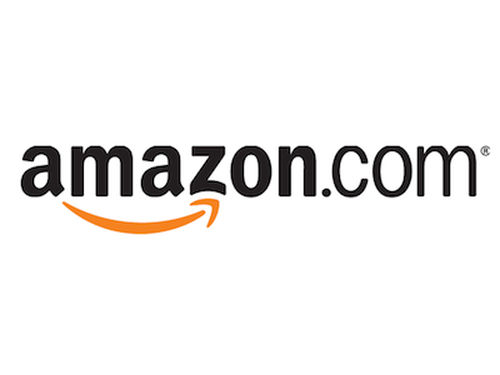 I hesitated to put an age recommendation on the study because children are so different! I think a child as young as kindergarten/first grade could work through the study with help, with children third grade and older being able to do it largely independently. Teens who aren’t put off by the “for kids” title would benefit too. I don’t think they will feel like they are doing a study for little children as there are some deeper heart-searching questions that would really get them thinking (and growing!). What makes you qualified to be doing this? From inside the kids study. Click for a bigger view. 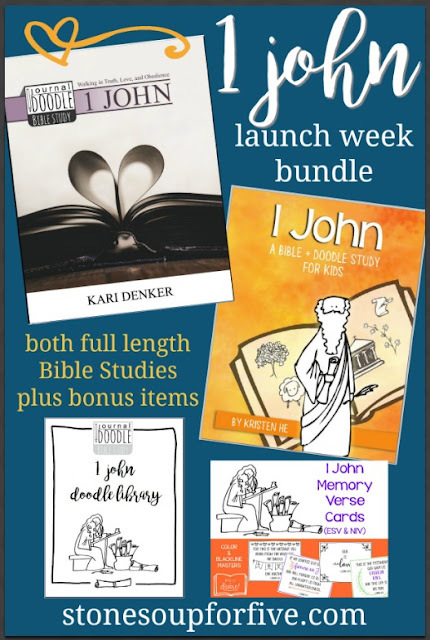 To get your own copy of the study, and get an awesome deal on a special launch week bundle, click the photo below! Thank you so much for all of your hard work! And for all of the Wednesday Doodles to help us make our journaling come alive! Will a post be coming with the doodles from the live Facebook doodling you did for this study?